Before I get into the meat of this quick update, I need to give a quick heads-up in regards to today's scheduled video... in that I might not be able to get it out on time due to the fact that the recent snowfall has left me with a bit of a headache and a mild cold. The audio is done, as is the ripping of the footage. It just needs a proper edit. If I can manage it, then it'll be up on schedule... otherwise, it'll be up tomorrow along with tomorrow's scheduled offering. Fingers crossed. With that out of the way, we continue the case of bad news. So, last week, I posted a bunch of wrestling musings on a bunch of old shows. As a result, there will be no Classic Musings this month. I did check out a couple of the smaller indy shows that took place during Mania weekend or something, so I'll probably post a couple quick write-ups towards the end of the month before resuming the classic looks in May. There may also be a whole bunch coming in June, but then again... maybe not. As far as Mania is concerned... I've got a DTM-Cast planned next week and I'll share some brief thoughts on the show there, but don't expect a proper musings until the end of the month, as I'm still struggling to watch the rest of the show. For the record, I stopped watching two hours in; just after the World title match between Kofi and Bryan, which was damn fine wrestling with a happy ending and perhaps the best note to pause the show on. I have not tuned into the show since. PRR will be returning this week with a new entry. While I said there would be TWO new entries this week, I decided to keep the next entry for next week. With this current crop of entries, I'm going to experiment with a new format that was already featured in a prior PRR; that bite-sized DiD post where I do a quick story summary and then lay out a few points and observations. I want to try this format to see if this will result in quicker entries and perhaps even result in more than weekly offerings of this thing, which would be nice. In any event, that's the format going forward for MOST episodes. Though when it comes to the bigger storyarcs or multi-parts, I'm fairly certain the "classic" format will be adopted here. So we'll give that a shot. 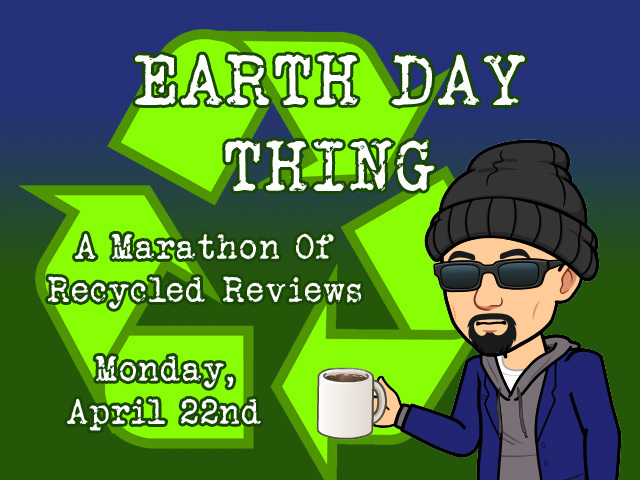 Review A Great Game Week will conclude on Saturday, and then Earth Week - recycling old reviews for new games - will begin a week later. What comes in between... who cares? And then, there's the return of Sunday Gimmick Table, which should make a brief return in a couple weeks with TWO new entries.